I never watched this tongue-in-cheek western during its run, but when it was slammed by the usual finger-waggling do-gooder watchdogs for being the most violent show on TV, I made a mental note to check it out. I’ve finally gotten around to watching the pilot episode, and it’s reasonably good fun. The violence is part shoot-’em-up and part Looney Tunes, really nothing that anyone should’ve gotten worked up over. Bruce Campbell is appealing, and I loved his Evil Dead movies. But though he tries hard, he’s just not a very good actor. Fortunately, this show is such a circus that acting isn’t something it really needs a lot of. What it does need is non-stop action, and there’s plenty of it here. What it needs less of is the goofball comedy, which must have seemed pretty funny on paper but doesn’t translate to the screen too well. What really got my attention was the supporting cast. 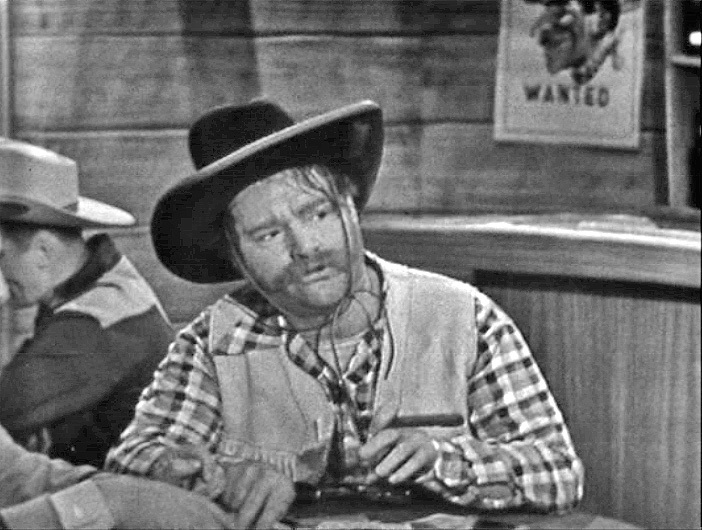 Besides R. Lee Ermey, James Hong and John Astin in fairly substantial roles, you also get a few stars from TV westerns of the past: James Drury (The Virginian), Paul Brinegar (Rawhide), Robert Fuller (Laramie) and Stuart Whitman (Cimarron Strip). Also on hand is old Sierra Number 3, the same locomotive that starred in everything from Petticoat Junction to Casey Jones to Iron Horse. There’s even a Barnabas Collins wolf’s-head cane on display. I was less happy with the cast members who carried on into the regular series— Kelly Rutherford is terrific as a crafty saloon vixen, but Julius Carry is loudly annoying as Brisco’s inevitable black sidekick. Anyway, this would be a better show if it took itself more seriously. It wants to be a rollicking good time, and it succeeds to a point, but you can’t build any suspense or dramatic tension when everything’s one big joke. Even so, its heart is in the right place, and I’ll probably watch a little more of this show. Some of you might suspect that I love anything and everything from the vintage era of television. Well, Exhibit One in my defense is Night Court USA. The show’s premise is that you’re a spectator at an actual night court, in which an actual judge hears actual cases and passes judgment. That probably would be a good show, except that you don’t get that here. Instead, you get a Hollywood set dressed up as a courtroom, with Jay Jostyn playing a grumpy judge, and defendants who seem to have all been dropouts from the Ajax Acting School. There are attempts at cinema verite, and those are superficially successful. Clerks wander back and forth around the courtroom, muttering to each other. The defendants’ dialogue sounds semi-improvised. But nothing deflates faster than a reality show that’s all phony. This one became a boring waste of time in its first sixty seconds, and stayed that way right down to the end. 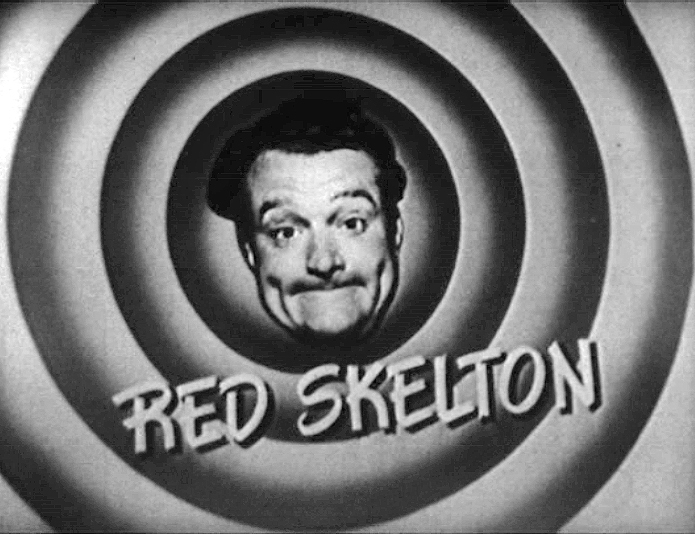 Like Lucille Ball, Red Skelton ended a long and legendary TV career in the early 1970s (let’s overlook the attempted comeback Life with Lucy for the moment). 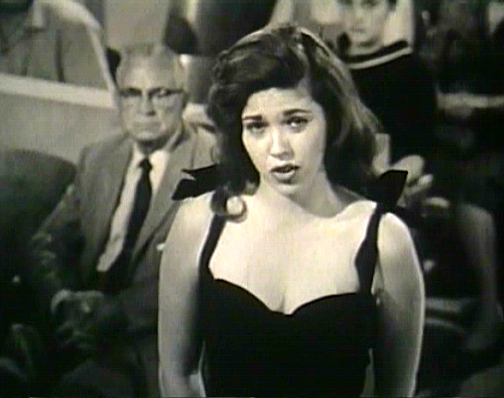 But while her reputation stayed aloft in the upper atmosphere of stardom for a generation or two, Skelton’s reputation began sinking the minute he left the air, and it’s been descending ever since. 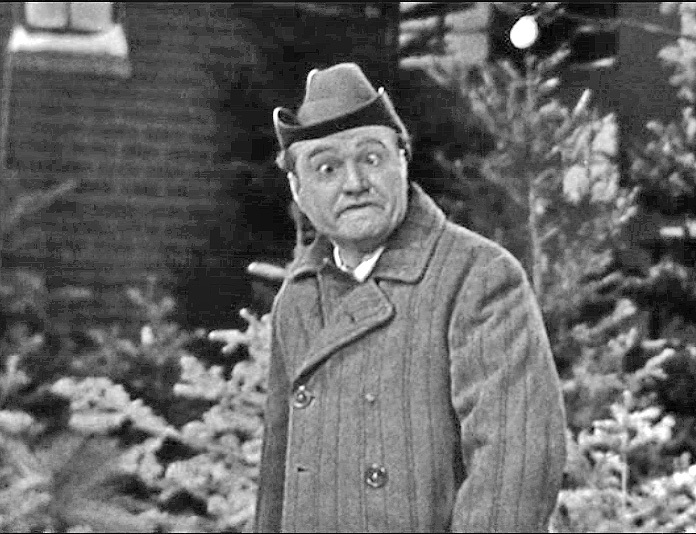 The simple reason for this is that the best work of Lucy’s career has been in perpetual re-runs, while Skelton’s stuff has languished on the shelf. His weekly show had been done live right into the 1960s, and no one ever wanted a syndication package of kinescopes, so it’s gone largely unseen. What’s unseen doesn’t get written about. No buzz, no reputation. 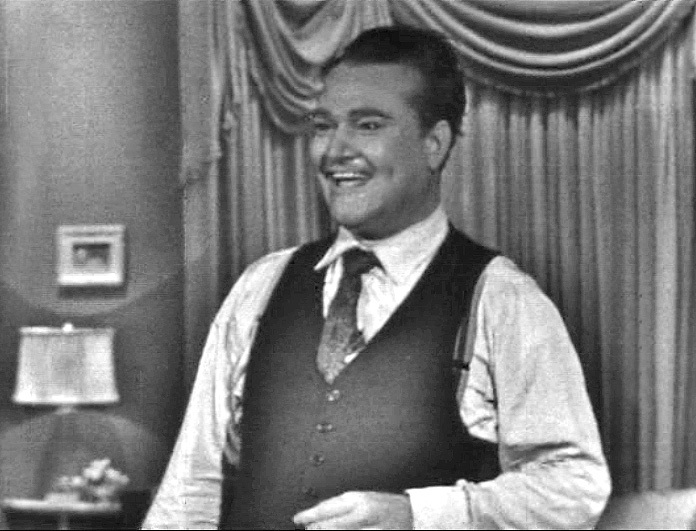 Well, any comedian who could stay on the air for twenty years (on TV, not even counting radio) had to be pretty good, and Skelton was great. I selected this episode because of the guest stars (the irresistible duo of Peter Lorre and Mamie Van Doren), and it didn’t disappoint me. The script is very good, but the show works mainly because of Skelton himself. Jerry Lewis would have been just as good at the physical comedy, but not as good with the verbal stuff. 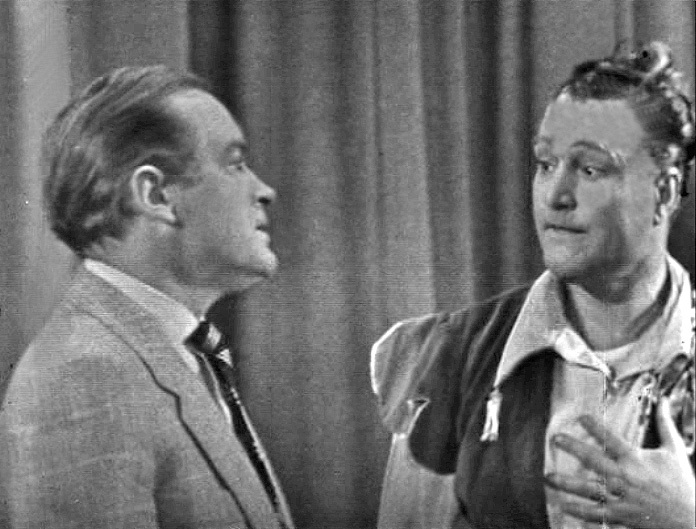 Bob Hope would’ve done well with the verbal, but not with the physical. Jack Benny would have played everything too deliberately and Jackie Gleason would have made everything subordinate to his own performance. 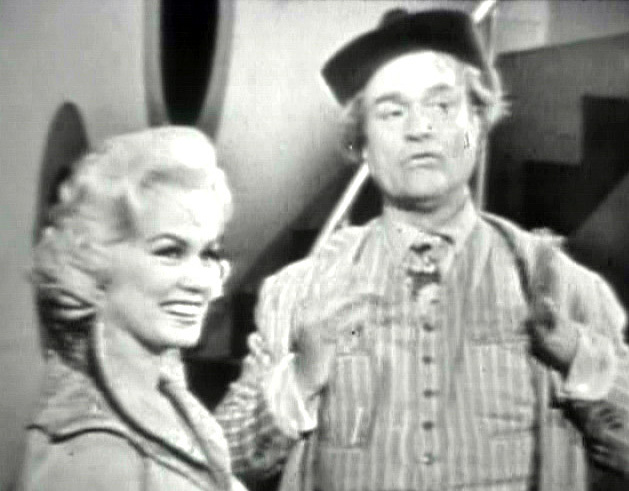 The centerpiece of the episode is a “Jack and the Beanstalk” tale, updated for the space race era of 1960. 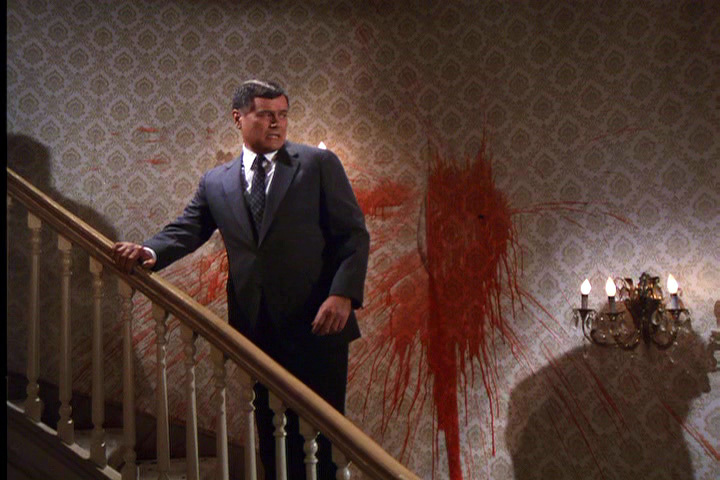 It all ends with a surprise cameo by Rod Serling, who’s there to deliver a pensive postscript a la The Twilight Zone— except that he’s laughing so hard that he can’t deliver his lines, and the show is running so short of time that it fades out all too soon. It’s wonderful stuff. I’m not articulate enough to sell anybody on the idea that Dallas is something better than a bloated soap opera. But it is. Scoff if you want to. But when this show is firing on all cylinders, it’s highly compelling television. As usual, it’s telling half a dozen narratives simultaneously throughout Season Six, and that’s not an easy thing to do well. But as the season winds up to its finale, the individual narrative threads suddenly knit together, unexpectedly and beautifully, making it all seem inevitable. Then, all hell breaks loose. The Sopranos beats Dallas cold in terms of dialogue and intimate character interaction. But not in terms of a story arc. That’s where modern television keeps falling down. 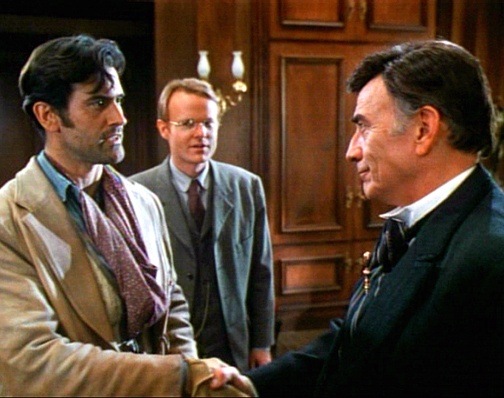 Not just the run-of-the-mill shows, but the acclaimed ones the critics yammer on about— Big Love, Lost, Deadwood, Boardwalk Empire, you name it— they often shine in terms of dialogue, characterizations, concepts or individual scenes, but eventually the narrative makes a crash-landing. On the other hand, the writers and producers of Dallas really knew how to keep it flying— or at least they did for the 131 episodes I’ve seen of it so far. Dallas is not the greatest show ever, and it has its faults. But I’m constantly in awe of how well it tells its story.